The #1 Way to "Level Up" Your Coaching Business - Coach & Grow R.I.C.H. …you also have to get the business side of things handled! That’s why I’m so excited about Melinda Cohan’s Easy-Breezy Coaching Business Bootcamp that just opened up. …including seven teaching modules, a done-for-you list-building and client-getting package, lifetime access to live group coaching calls, tons of bonus content and your own Personal Bootcamp Coach! Discover how to transform your passion for making a positive impact into a profitable, streamlined coaching business. PLUS… You also get six months of membership in the TOTAL Coaches Console System, where you’ll implement everything you learn during Bootcamp! The Coaches Console System is the #1 back-end software system I recommend for coaches and their latest version is the best one yet! It can serve as your website (or integrate with your existing one), manage contact information, deliver content, handle your calendar, invoicing, scheduling, marketing, referral process, ongoing customer contact and more. Check out this seriously all inclusive system. 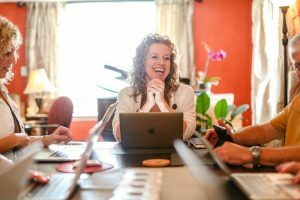 When you join The Easy-Breezy Coaching Business Bootcamp you’ll learn how to get prepared, build your business, and make a consistent income… all while having fun! By the end of bootcamp your coaching business will be set up… DONE! We want to help make it a no-brainer for you to say “YES” and get your business dialed-in. Take a look at The Easy-Breezy Coaching Business Bootcamp and if it seems right for you, I recommend you join TODAY. And one of the bonuses is extremely limited, so don’t wait! Learn the proven, step-by-step Coach & Grow R.I.C.H. Client Enrollment Formula for signing up new coaching clients in a way that provides value and feels good to you and your new client. Includes sample scripts, templates and checklists so you can start signing up new paying clients fast! I know you’ll be getting a ton of guidance and support in the Bootcamp from Melinda and your personal Bootcamp Coach… But I also want to give you access to my private email in case you have any questions about implementing the C&GR Client Enrollment Formula while you’re in the Coaches Console Bootcamp. Get access to a half day workshop delivered at an International Coach Federation Conference and discover the 4 proven “Keys to Success” so that you can earn a great living and live a great life as a successful coach. Identify your ideal target market and niche so that it’s much easier to attract new clients and charge top dollar for your coaching. Plus, you’ll discover how to move forward even if you’re feeling stuck. Learn how to talk about your coaching so that potential clients “get it” and want to learn more. Discover how to create your own unique “Signature Coaching System” that can become the foundation for your private coaching, group coaching programs, information products, online courses and more! How you package and price your coaching determines the profitability and sustainability of your coaching business. In this training you’ll discover the best packaging and pricing secrets… including how to quickly create a cash infusion by offering lucrative VIP Days. Get exactly what you need to put your coaching business on the proven road to success. Let’s do this thing….It’s your time! Click here for details about the Coaches Console Easy Breezy Coaching Business Bootcamp and receive my “Get More Clients” Bonus Package!